Welcome to A Creative Harbor sharing our world of creativity with photography, haiku (poetry) and art. We are all creative in our own way. Here the focus is on photography, poetry and art. However you find ways to express yourself creatively is good for the mind, body and spirit. For me haiku, photography and some of my art provides me the mode to focus and center myself and enhance my ability to attend to the 'now' and what is right in front of me ~ the sacred in the every day ordinary. (* Please note all the bloggers I link up with during the week are on a separate page with their badge if I have one.) I love you all just decided it was a bit more efficient to have everything in one section. So look below my header picture and you will see the new page. Happy New Year to all you wonderful bloggers! 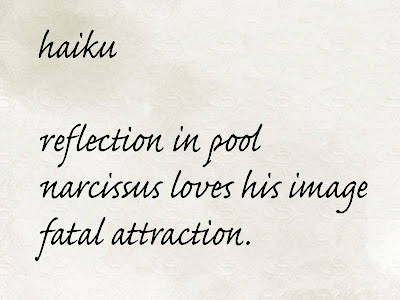 I love how you used the narcissus mythology too. Awesome! 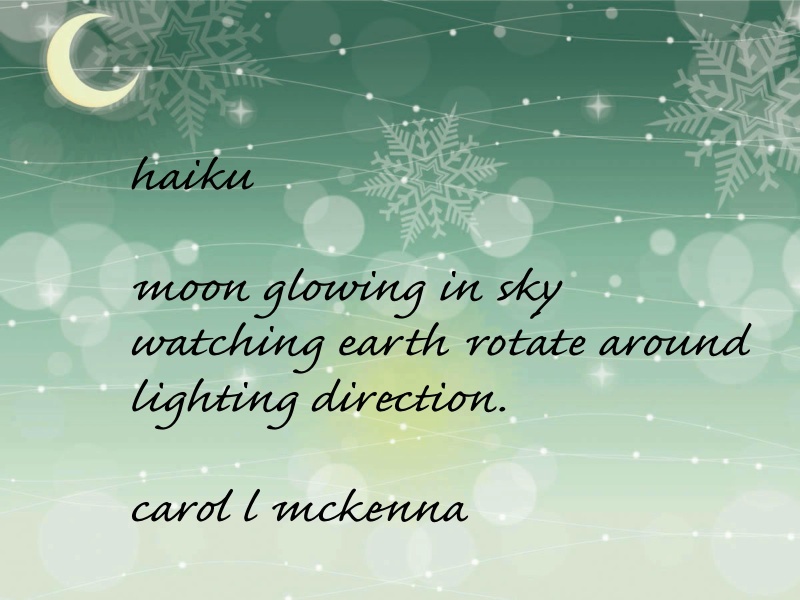 Beautiful pictures, haiku and quotation. I have never experienced snow but I think it is beautiful. Happy New Year! 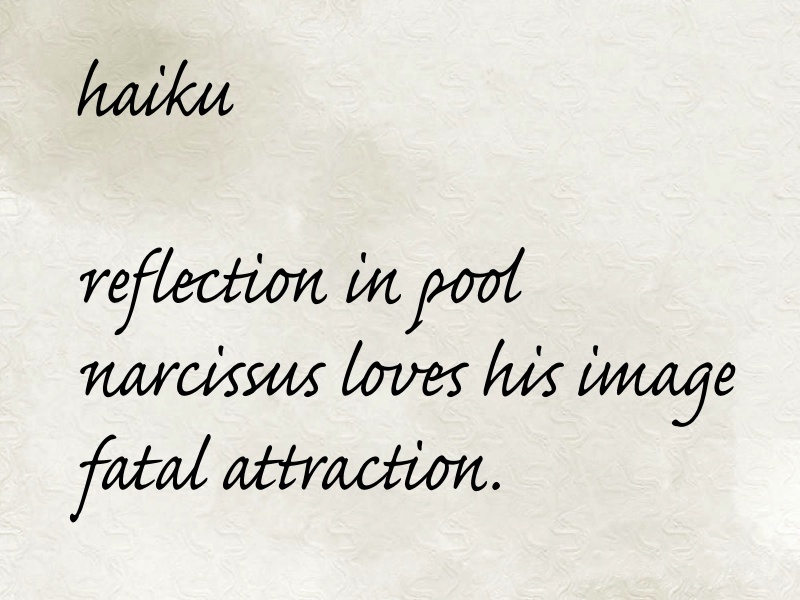 love the fatal attraction in your haiku and your photos and art lovely as usual!! Happy New Year! Always enjoy seeing your sweet little pup. Great image and wonderful processing! Wish that the child is always in us. Then we continue to dream, to see and say in a childish way. Love this post Carol. Happy New Year to you and yours. 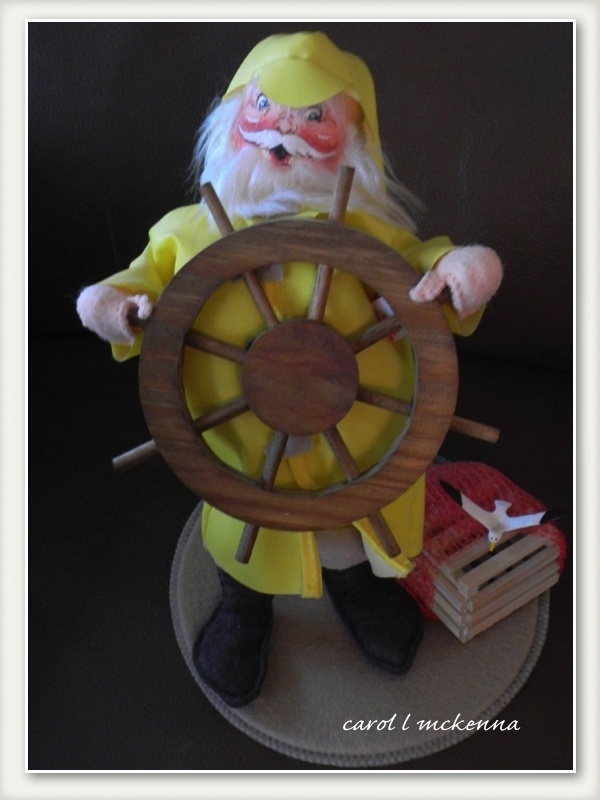 Oh boy....would my husband ever LOVE this figurine of the fisherman. That is super. wonderful as always Carol... Happy New Year! Happy New Year, you had a super blog year! LOVE the fisherman and I see you have snow! Great series of photos and writings. Wishing you joy this new year! Thanks for sharing your snow picture; it looks like blue snow. Happy New Year and Happy 1st Blue Monday! Wonderful post and lovely pictures and quotes. I'll definitely share this and pass it on! :) Happy New Year! A terrific post Carol. ArtMuse is so sweet! Happy New Year. I love the fisherman and ArtMuse Dog! Happy New Year to you and yours! Happy New Year from Boom & Gary of the Vermilon River, Canada. 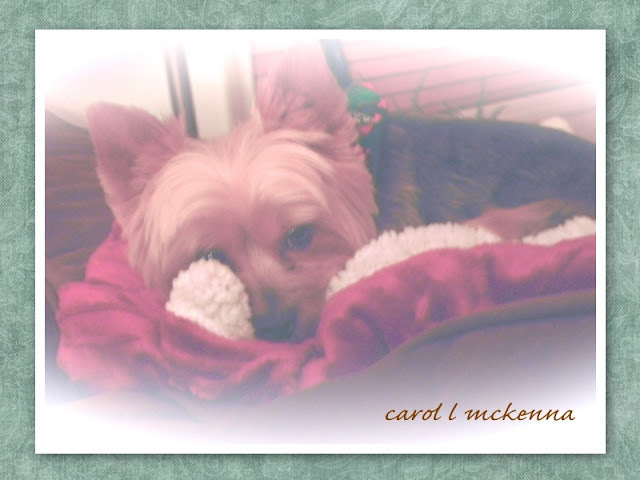 Great post for the day, Carol, and I do love ArtMuse!! Hope you both have a very Happy New Year! Health and wealth this coming year. A grace-laden new year to you and yours. Inspiring post! Love the fisherman and his impish smile! Lovely post, Carol! I enjoy reading your haiku! I wish you and yours a Happy New Years! Best wishes for the new year! Right now - just looking at that photo of the snow is great! Such a contrast with a hot new year's day in the tropics! Great and versatile post. I see a happy sailor leading us into the new year. I'd also love to go sliding on the snow, but alas; the snow is gone. Thanks for your visit and comment on my OWT post. Wishing you many blessings in the new year. You are so very talented! What a great selection. I love the snow images and the OSI poem. You sure do capture the season. I thought it was Santa! Oh he's so cute. I adore his facial expression. What lovely shots! Wishing you a wonderful year ahead. Great art works! Happy New Year to you! Happy New Year Carol. You and your work are both so inspiring. 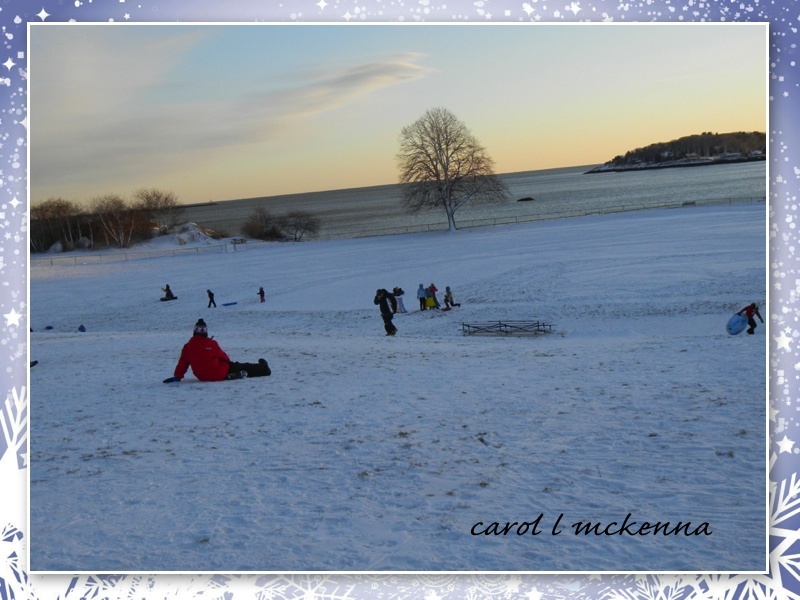 The picture of the kids sledding reminded me of the park we used to go to when I was young. It is great to look back fondly and so much fun to live in the present as well. Have a wonderful 2013. What a happy and peaceful pup you have! It reminds me of how the kids feel and look after the holidays! Happy New Year! A nice series of photos, sliding on the new snow is always fun. Have a great 2013! Beautiful poetry. I enjoyed every verse you penned. You never runs out of beautiful things to post Carol! The old sea wayfarer is just adorable! The winter shot is full of atmosphere. Wow! Did you make the sailor in his yellow slicker? That first haiku just cracked me up!